If there’s a person who has been mentioned in more arrest reports on CWBChicago than Marcell Townsend, we’d be hard pressed to name them. Time after time, Townsend has been arrested in the Wrigleyville area where he frequently sells drugs to bar-hoppers, according to police. In 2016, we even published a spreadsheet of Townsend’s arrests. HY300853 6/13/2015 3400 N. Sheffield Unlawful Possession of Motor Vehicle Per police report: Officers at a Mobil station in the 1200 block of N. Halsted heard Townsend ask the clerk for $10 worth of gas, then exit the store and walk past the vehicle that he bought gas for. Suspicious of his conduct, officers ran the vehicle plate and it came back stolen. Townsend was stopped. He told the officers that a guy named "Ralph" at the Cubby Bear in Wrigleyville gave him the vehicle to use. When officers asked where the vehicle's keys were, Townsend said "I don't want no trouble. I threw them behind the fence by the bus stop." Officers went to that location and found the vehicle's keys. Guilty plea. 2 years probation. 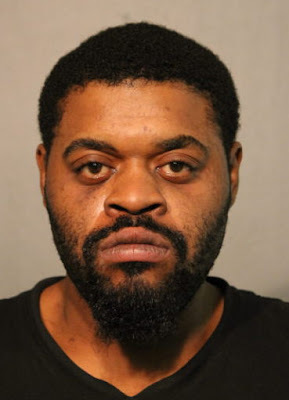 HY500782 11/14/2015 1053 W. Addison Theft From court records: Townsend and his brother, Zikee, were accused of taking a Texas man's debit card and $20 as the victim used an ATM near Addison and Racine in Wrigleyville. Victim, a resident of Texas did not appear in court. Stricken. Early last Sunday morning, police were flagged down by two suburban men in the 3500 block of North Clark. One of the men told police that he was approached by Townsend who took the victim’s phone without permission and then accessed the man’s Venmo account. Venmo is an app that lets you make payments to people and businesses. According to the victim, Townsend transferred $950 from the victim’s bank to Townsend’s own account. Townsend then gave the man his phone back and left, the victim said. The victim showed police the Venmo app on his phone and officers verified that $950 had been transferred to Marcell Townsend, “a known offender” that they had just seen up the street, according to their report. Townsend was stopped in the 3600 block of North Clark and he immediately promised to transfer all of the money back if the victims would not press charges. But, darn the luck, Townsend had “technical issues with his Venmo,” police said. Townsend, age 26, was arrested. Again. Judge David Navarro set his bail at $5,000. So far, Townsend has been unable to come up with the $500 he needs to bail out. He’s due back in court on Tuesday.